iPhone 6 has been out just roughly 24 hours ago, and already luxury designers are ready to take luxury to the next level with redesigned iPhone 6. If you are still wondering why iPhone costs so much then may be this will blow your mind. 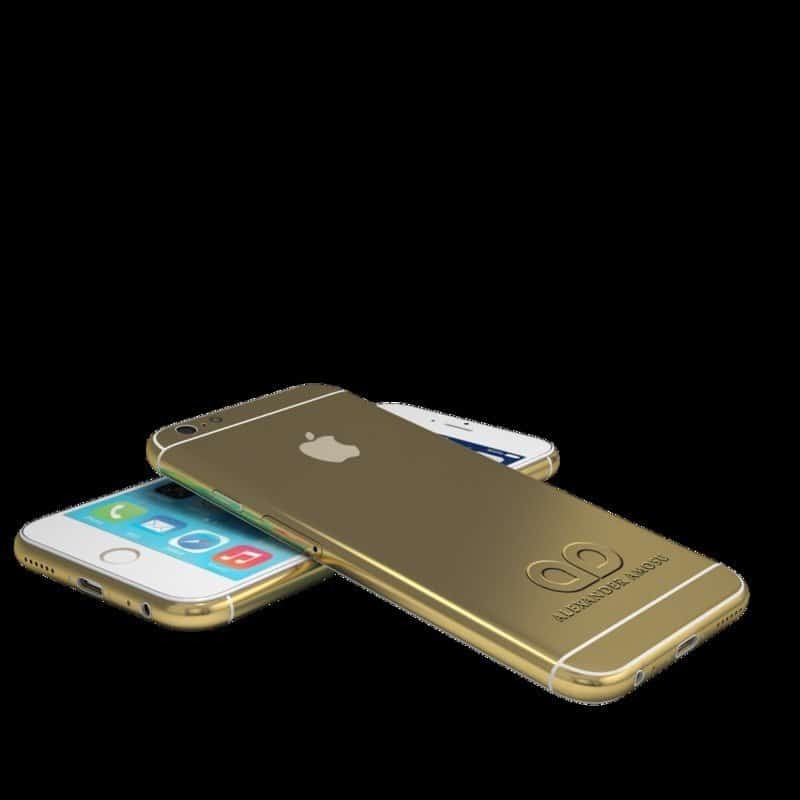 This iPhone costs 1.7 million British Pounds, yes we’re right. You will have to pay this much to get this ultra luxurious iPhone 6. And it is up for pre-order already. 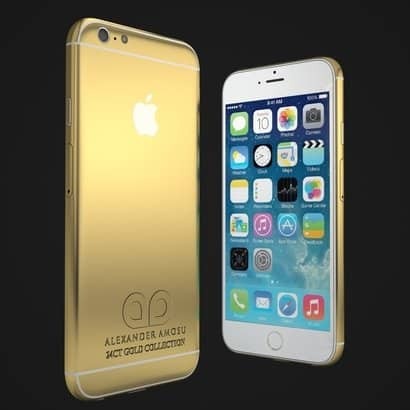 Alexander Amosu, a luxury designer, has designed two iPhone 6 concept premium versions of the freshly announced iPhone 6. While the first one comes with a 24-karat Yellow and Rose gold plating, the second iPhone 6 model comes additionally studded with diamonds on its back side and all four side bezels. 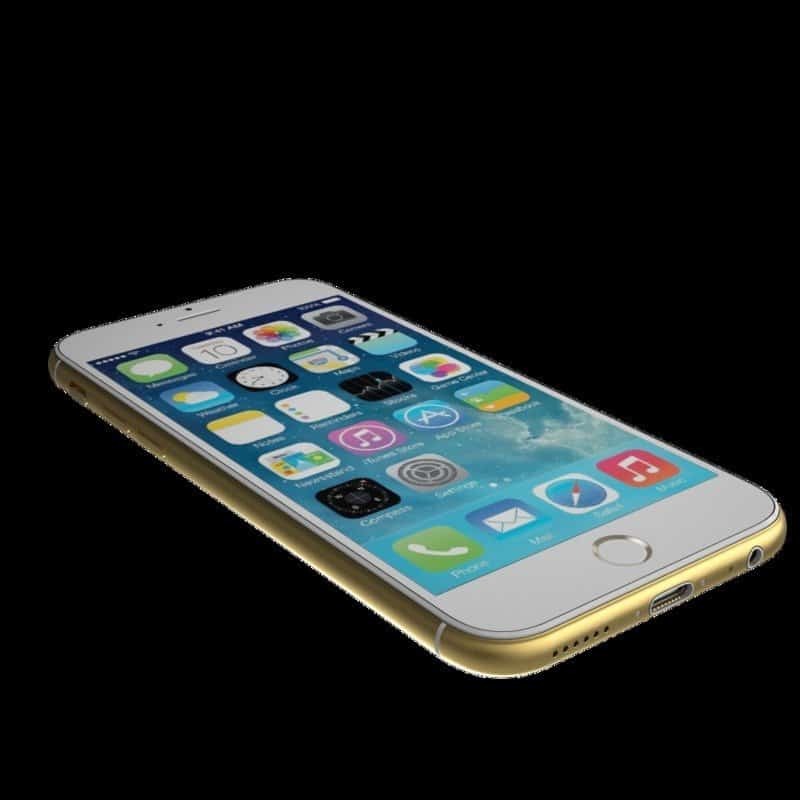 The 24-karat gold iPhone 6 handset is named ‘Amosu 24ct Gold IPhone 6’ and is already up for pre-orders for GBP 2,399 (roughly Rs. 2,35,800) from the official Alexander Amosu website. There is also an option to engrave name on the back panel of the handset. As a part of a deal. Also there is an offer of leather cover worth GBP 150 (roughly Rs. 14,700) for the iPhone 6, free of cost for those users who pre-order the smartphone before September 12. The Amosu Call of Diamond iPhone 6 comes additionally studded with 6,127 VVS1 diamonds and one big 51.29 carat diamond exactly cut to the shape of Apple logo. 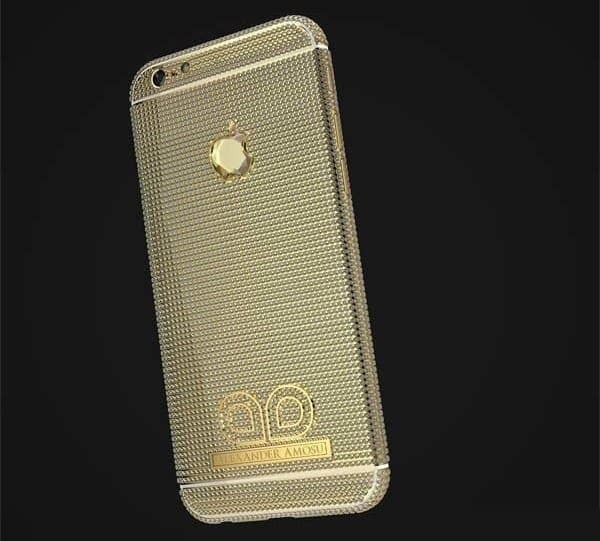 And this diamond-studded iPhone 6 is priced at GBP 1.7 million (roughly Rs. 16.7 crores), as we got this info from GSMArena. Though there is no iPhone 6 Plus versions available from Alexander Amosu, another brand named Falcon has already gone ahead and listed the the bigger iPhone 6 concepts (iPhone 6 Plus) handsets with a number of diamond-studded options on its website. Falcon’s iPhone 6 Plus boasts just one big diamond on the back panel of the handset, placed between the Apple logo and the ‘iPhone’ engraving. The handsets come in three different categories based on the material used for their build – Platinum, 24K Gold and Rose Gold, and they are pretty impressive. You can visit their full range of luxury iPhones from their official website.